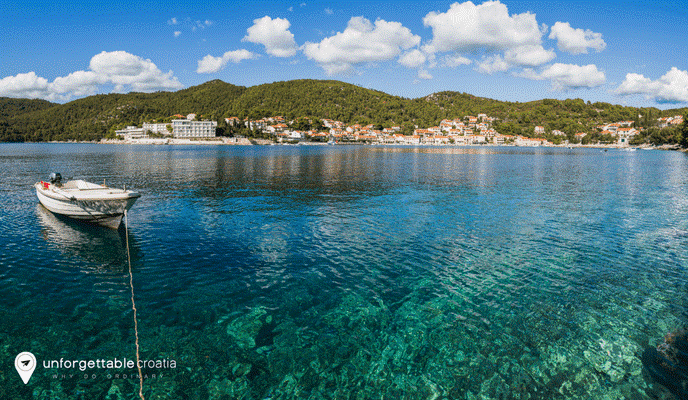 Korcula Island is a top destination for travellers looking to escape from it all and to experience authentic Croatia. Just like the more popular Dalmatian island choices, Korčula has plenty to offer in terms of beautiful beaches, stunning scenery and friendly hospitality.Situated within close proximity to the islands of Brac, Hvar and Mljet, Korčula is the perfect place to stopover when you’re island hopping in Croatia. You’re also conveniently just a 5-minute boat trip away from the mainland of Orebic on the Peljesac Peninsula. Situated in the middle of Korčula Island is the quaint picturesque village of Cara. The village is well known for producing the popular white wine Posip, and has a selection of seafront restaurants with exceptional views. 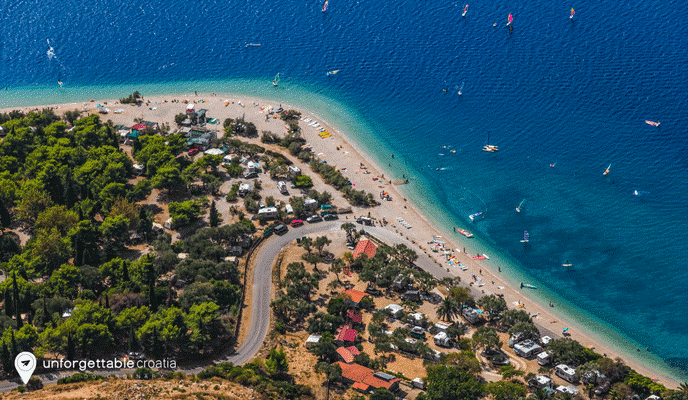 The nearby bays of Zavalatica and Zitna are perfect for sunbathing and swimming. The medieval Korčula Town is widely recognised as being the birthplace of the world explorer Marco Polo. The town has meandering cobblestone streets, cute little shops, and many cafes, bars and restaurants. A walk to the top of the hill will reward you with fabulous scenic views over the Old Town and out to sea. The village of Lumbarda, situated on the eastern tip of Korčula Island, has an abundance of lush greenery and aromatic plants. There are also many beautiful coves and rocky beaches where you can swim and snorkel. 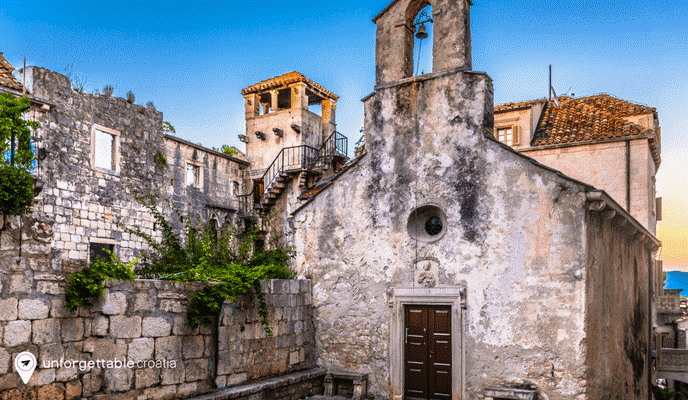 Pupnat is the oldest settlement on the island of Korčula, and is extremely well preserved. You can admire the stunning architecture that dates back centuries, or enjoy recreational activities on the popular Pupnatska Luka beach. The fisherman’s village of Racisce is located in the one of Korčula Island’s northern bays and faces out towards Peljesac Peninsula. The village was established in the 17th century and boasts a pretty church, market, cafes and restaurants. You can hire a boat to explore the natural beauty of the local area. The town of Smokvica is famous for production of two white wines – Posip and Rukatac. The nearby bay of Brna is one of the largest bays on the island, and offers a tranquil spot for relaxation. 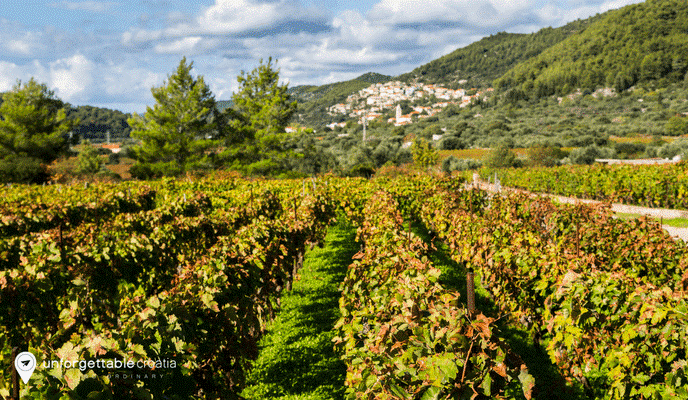 Vela Luka is a lively town that has many cafes, bars and restaurants, as well as plenty of recreational water based activities on offer. Take a boat trip and visit the protected forest that is located on the Island of Osjak, or head to neighbouring Prozid to enjoy its healing mud baths. Nestled on the sea’s edge is Zavalatica Bay. The beautiful retreat boasts a beach and a handful of restaurants. The bay is also close to the island’s best wineries. Zrnovo is well known for its old cypresses, olive groves, terraced vineyards, churches and impressive stone houses. 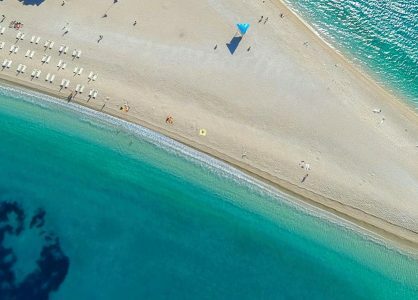 Zrnovo comprises of four interconnected villages and has pretty bays and coves on the southern side that are perfect for swimming, snorkelling and sun bathing. If you like to ramble, take the route from Korčula Old Town or Zrnovka Banja to Zrnovo, to enjoy spectacular views along the way. 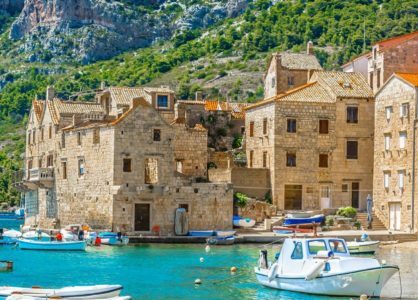 Visit the island of Korčula whilst exploring the Dalmatian coast on one of our Croatia island-hopping cruises. 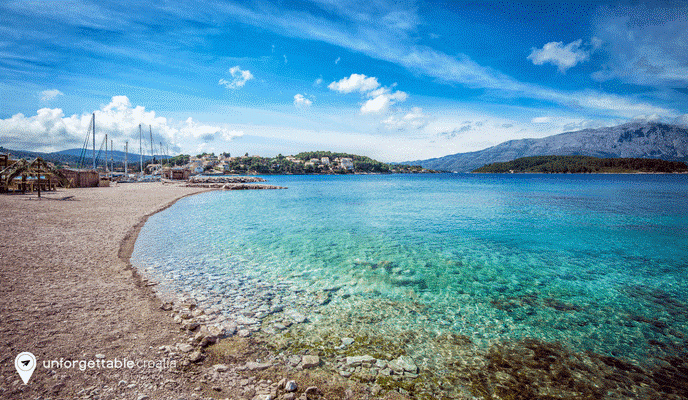 A deluxe Split to Dubrovnik cruise will include stops in Korčula as well as Hvar, Vis and Brac. Call us on 020 8004 2345 today to find out about a Croatia islands cruise.